Not much to discuss here. The ’88-’89 Flames lost in the inaugural UNP Final and the ’30-’31 Philadelphia Quakers won four games in their only season of existence. This was very expected. The Flames outscored the Quakers 39-6 in the four games and Joe Mullen accounted for 11 of those to lead Calgary in goal scoring. 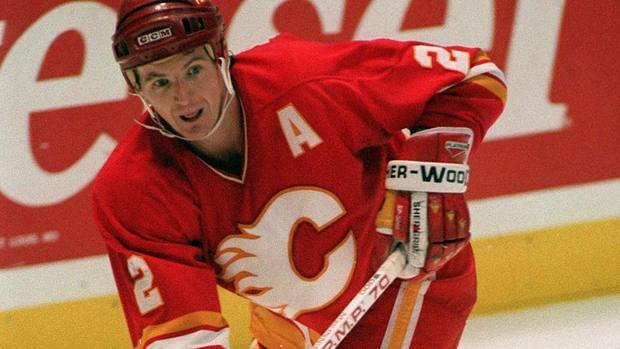 Joe Nieuwendyk was second behind Mullen with nine goals. Defenseman Al MacInnis was the best player in the series and finished with an astounding 16 assists in four games. Hakan Loob‘s nine assists were good for second behind MacInnis. That’s how the overall scoring leaderboard looked for Calgary with MacInnis and Loob in first and second with 19 and 15 points, respectively. Mullen and Nieuwendyk also broke the double digit barrier for points in the series. MacInnis and Loob were also first and second in plus minus at +21 and +18, respectively. In goal, Mike Vernon did not have a lot to do, but did stopped all but six shots against in the series. He finished with a 1.50 goals against average and a .942 save percentage, but faced just on average 26 shots per game. He concluded the series with a 25-save shutout performance in Game 4. For the Quakers, their “stars” of the series were Gerry Lowrey and Syd Howe. Lowrey led them in goals with two, the only to score more than once. The two of them co-lead the Quakers in assists with two each, the only two to tally more than one assist. Finally, Lowrey’s four points were first and Howe’s three points were second for Philadelphia. They were the only two players to register more than one point. The “best” plus/minus rating on the team for a player who appeared in all four games was -5 and that belonged to winger Tex White, who also scored a goal in this series. Goaltending, of course, was a disaster. Wilf Cude earned the start in all four games, but was pulled in each game for backup Joe Miller, who didn’t do that much better. Cude finished with a 5.00 goals against average and a .862 save percentage while Miller posted a 4.75 goals against average and a .855 save percentage. Last year, the ’88-’89 Calgary Flames received a First Round Bye, but due to a change in the seeding rules, they made their first appearance in the First Round this year. Meanwhile, the ’30-’31 Philadelphia Quakers, the lowest seed in the tournament, are swept yet again. The ’85-’86 Whalers now advance to play the 3rd-seeded ’07-’08 Detroit Red Wings in the Second Round! Up next, to conclude the First Round, the 24th-seeded ’99-’00 Florida Panthers will take on the 41st-seeded ’20-’21 Hamilton Tigers! This entry was posted in 1st Round, Ultimate NHL Playoff and tagged Al MacInnis, Calgary Flames, First Round, Gerry Lowrey, Hakan Loob, Jiri Hrdina, Joe Miller, Joe Mullen, Joe Nieuwendyk, Mike Vernon, Philadelphia Quakers, Syd Howe, Tex White, Ultimate NHL Playoff, Wilf Cude. Bookmark the permalink.